An L-1 Visa is a nonimmigrant visa used to enter the United States for work purposes. L-1 Visas allows a United States employer to transfer an employee from a foreign office to an office inside the United States. An L-1 Visa also allows a foreign company to transfer an employee to the United States to be employed in an existing operations center or establish new operations. L-1 Visas are valid for up to seven years, but are most commonly three year visas. Initially L-1 Visas are granted on a three year basis. There is no limit the number of L-1 Visas available per year. To attain an L-1 Visa a company must petition with the USCIS (U.S. Citizenship and Immigration Services). Each employee petition is evaluated on its own merits. To qualify for an L-1 Visa the employee in question must have worked for the parent company, subsidiary, affiliate or branch office for at least one year out of the last three years. The type of employee that can qualify for an L-1 Visa includes Managers, Executives and Special Knowledge staff. Managers and Executives qualify under subcategory L-1A. Manager and Executives must have prior experience as a supervisor of staff or key production functions. Workers with specialized knowledge qualify under subcategory L-1B. Specialized Knowledge staffers are employees with key knowledge about the company products, production process, services, research, systems, proprietary techniques, management and/or procedures. After an employee has stayed in the US for the maximum time allowed on their L-1 Visa the employee must be employed outside the United States for a minimum of one year before a new L-1 Visa or H-1B Visa application is made. An Immigration lawyer can help potential companies, business owners and employees apply for an L-1 Visa. The qualifications for an L-1A and L-1B Visa have importance differences. Immigration attorneys can ensure employee applications reflect these differences. An Immigration attorney can also assist in determining if an L-1 visa is the appropriate visa or if an H-1B Visa, E-1 Visa, E-2 Visa or J-1 Visa is a better option. An Immigration attorney can assist in getting the proper applications completed correctly and on time. 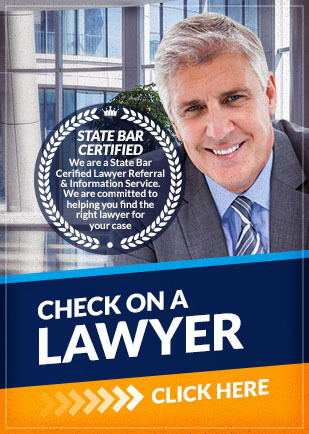 Attorney Search Network is a California State Bar Certified Lawyer Referral Service. Attorney Search Network can refer you to a panel member attorney with L- Visa experience. Get a pre-screened experienced L-1 Visa lawyer referral.